Are the vaccination requirements the same in all states? What is also of note is that requirements vary from state to state. With the exception of Hawaii, all states require the rabies vaccination unless there is documentation from a veterinarian stating that the animal no longer needs the shot. This may be for animals age 19 or older, allergy to the vaccine, etc. Hawaii does not require that animals that live on the island be vaccinated. Some states require additional vaccines. Iowa, for example requires the DAPP, which stands for Distemper, Adenovirus, Parainfluenza, and Parvovirus. In some states, such as Georgia and Texas, groomers are responsible for reporting any and all bites to our local rabies office. Even if the rabies certificate provided by the owner is valid, the groomer is required to report it. These states put the dog under ‘house arrest’ (sounds better than quarantine, doesn’t it?) and watch it for ten days. How long should you wait to groom a recently vaccinated pet? Most groomers will not accept a dog or cat whose shot was administered 24-48 hours before their grooming. Animals may be extra lethargic or have a reaction to the vaccination. It is better to let 48 hours go by so that the pet parents are sure their fur baby responded well to his or her vaccinations. What are the legal admitted proof of vaccination records? It is important to note that NO STATE accepts the honor system as proof of vaccination. So, what is acceptable proof that Fluffy has been to the vet and is current on all vaccination requirements? 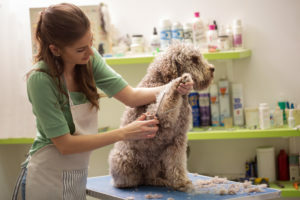 Nearly all states have the same level of expectation that the groomer will maintain proof (for at least one year) of current vaccination against rabies from owners of the animals that they are servicing. Proof must come in the form of a copy a medical record, invoice, veterinarian statement, rabies certificate, or receipt either provided by the owner or emailed or faxed from the veterinarian. Further, groomers must maintain on file a veterinarian’s letter verifying the status of any dog unable to be vaccinated for medical reasons. 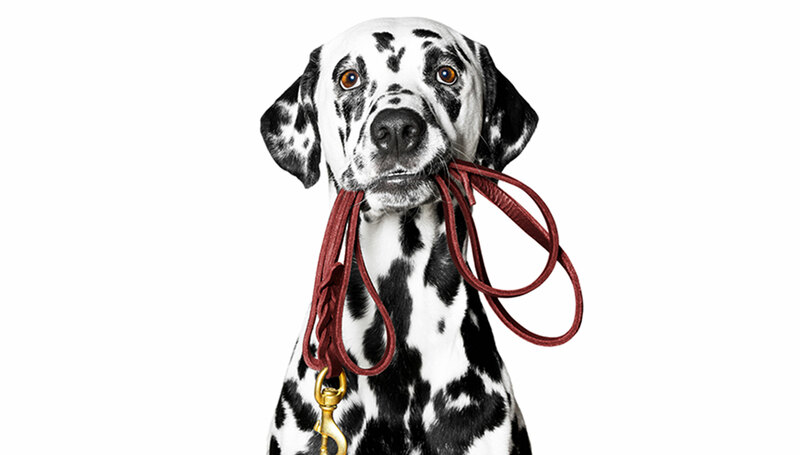 Sworn statements from the owner that the dog has been vaccinated (including the name and contact information of the veterinarian who gave the vaccines) are also permitted, but seem like a more cumbersome way to record the information. Please note that a rabies tag on a pet collar is not acceptable proof of vaccination. Why keep the vaccination records? So, you are wondering why you should bother to keep all of this extra paperwork. Well, in some states, they know that groomers may not be inclined to maintain records and pester clients for proof of vaccination. The $1,000 fine you may get if found out in New York are reason enough to comply with the law. A significant number of states have fines for non-compliance – some higher than others, but all of which have you on the radar of inspectors going forward. What are the benefits of GroomPro POS’ vaccination requirements feature? GroomPro POS understands that this can amount to a lot of extra work. Constantly filing looking up records and calling clients to let them know that their pet’s vaccinations have expired is not how you want to spend your day. Take your time back with GroomPro POS. Enter each client into the system once, and the software will tell YOU when updates are needed in the files. You can even send a message to the customer that Fluffy needs to see the vet for a check-up as vaccinations expire in 60, 30 or 15 days. Your clients will appreciate the reminder because we all know that life happens and things fall through the cracks. GroomPro POS is designed to help you be more efficient and more responsive to your clients. Going the extra step to store their vaccine records and send reminders shows you care, that you are operating in a technologically advanced fashion and that you are ready to provide proof to the Board of Health in the event of a bite (for you or your employees). Stay ahead of the competition. Be prepared for all contingencies. Take steps toward success! Visit our website GroomPro POS or call us (855) 811 7550 Today!